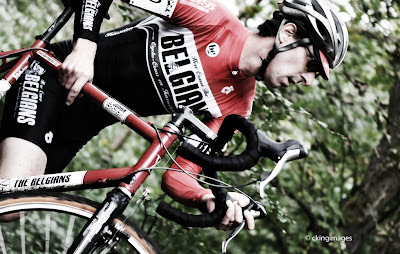 Bell Hall Velo: here come the belgians.. I don't claim to understand cyclocross but i do like a bit of northern cobbles. Plus these boys have the best team kit going.. i'm thinking Stijn Devolder. Screw these cappucino sipping italianos, beer and frites is real cycling. Photo is from Cheryl King who has some quality cycling snaps on her site.